The bank has previously made secondaries sales of private equity assets to groups including Goldman Sachs and Coller Capital. The deal brings Qualium Investissement to a first close on its latest fund which has a €350m target, Secondaries Investor has learned. The investment firm has acquired minority direct stakes in the fund's portfolio companies and will work with the Italian manager to raise a country-focused fund. The Deutsche spin-out has brought on a New York-based partner and three other investment professionals. The acquisition of Arle Capital Partners by a distressed legacy specialist is the latest in an almost decade-old attempt to salvage the UK investor’s legacy portfolio, sister publication PEI reports. The former captive unit of Deutsche Bank is no longer the parent company’s ‘neglected child’. The unit has formed Glendower Capital, focusing on private equity secondaries from London and New York, Secondaries Investor has learned. 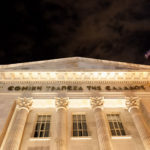 The National Bank of Greece spin-out will focus on delivering returns for its two backers, chief executive Graham Thomas told, Secondaries Investor. 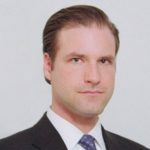 Jordan Bradley joins New 2nd Capital as a partner after spending 10 years at the fund of funds, Secondaries Investor has learned.